Term II Clubs Applications Now Open! The MSU is now accepting applications from students to form a new club to beginning operations in January 2013.Starting a new MSU club is a three (3) part process: 1) Completing an application, 2) Completing an interview with the MSU Clubs Administrator, and 3) Becoming ratified by the Student Representative Assembly (SRA). 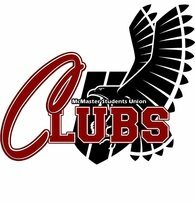 Visit the Clubs' website and speak with the MSU Clubs Administrator for all the details. This Wednesday, check out TwelvEighty’s annual Halloween bash! Come enjoy an awesome party atmosphere and a ghoulish good time as Rocktober comes to a close. There will be $3.50 rail shots, and $3.75 beers as DJ Johnny B spins some great tunes, doors open at 9:30PM. The following night, come back for the ‘hair of the werewolf’ that bit you, as the weekly Club Night is transformed into Halloween Hangover. This fall, students can expect to see some changes in the prices offered by Paradise Catering. The MSU negotiated with Hospitality Services over the summer to see if prices for catering could be reduced, in order to make events on campus more affordable for student groups. Halloween screams are approaching quickly. If you are the type that enjoys ghoulish fun and flair during the fall season, Compass has you covered. Now available at Compass Information Centre are tickets for both Screemers 2012 and Halloween Haunt at Canada’s Wonderland. Ontario Undergraduate Student Alliance General Assembly Delegate Applications Open! McMaster Students Union is represented by seven students at OUSA's bi annual General Assembly. The conference is the highest governing body of the organization and is responsible for setting the Policy Direction on the major Post Secondary Education issues of today. There are three spots available for students at large. Built by factor[e]. Powered by Forge3.